Today we had another fabulous Communities: Share & Compare session. Last week we learned all about a rural community in New Zealand. This week we learned about an urban area in Florida. Meet our new third grade friends! 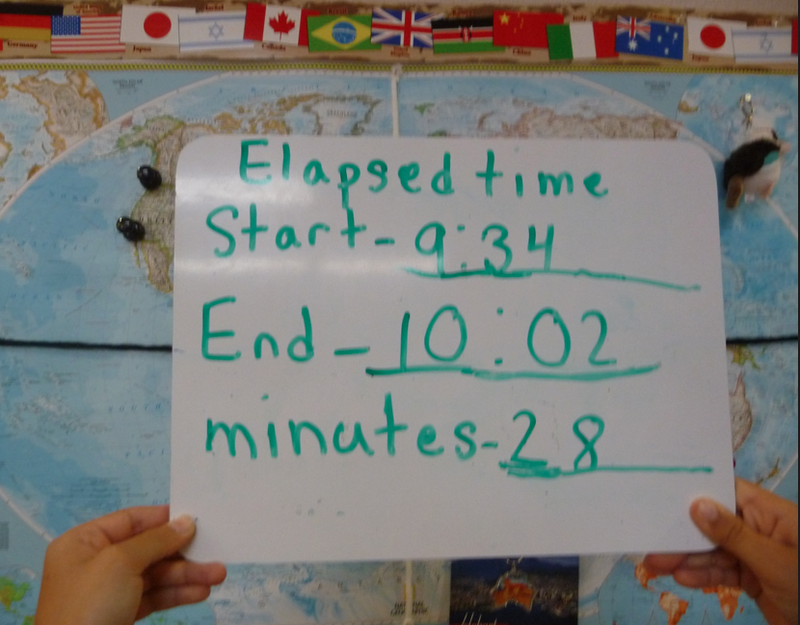 The two classes were on separate coasts and in different time zones. The Floridians were just coming back from lunch, while the Californians were about to have a morning snack recess. The mappers set up two photographs. One is a political map and one is a physical map. How is color used on these two maps? Which do you prefer? Students had facts prepared about our community and our school. 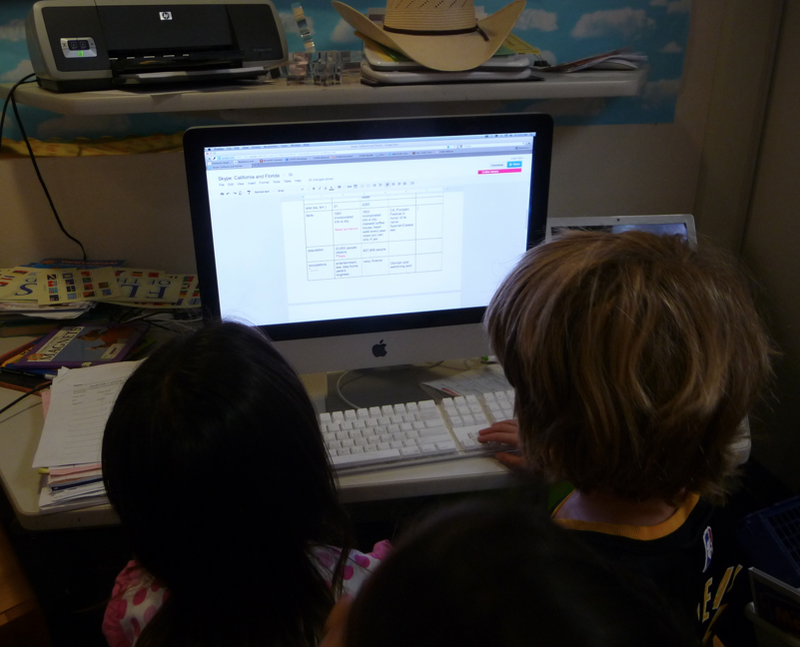 In addition, each student practiced his/her presentational skills. Presentational skills included: giving an appropriate greeting, speaking slowly and clearly, holding a white board level, and responding to questions. 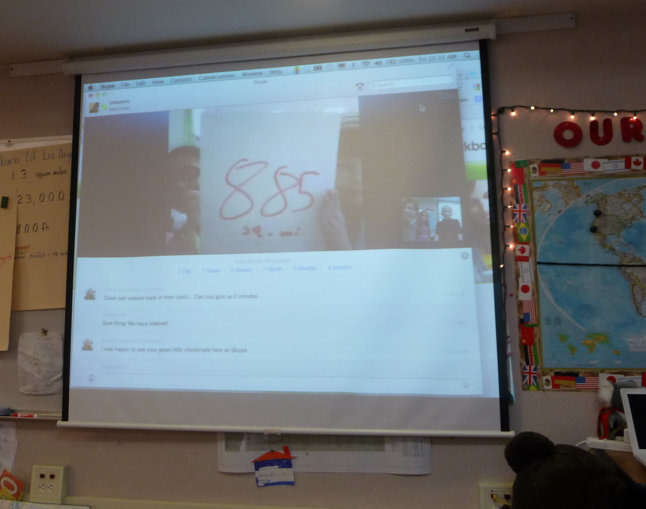 We also talked about troubleshooting problems that occur during a Skype call. 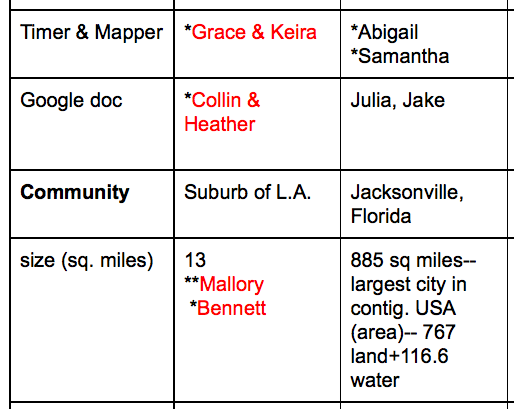 Two students worked at the Google Doc data center. Their job was to keep the Share & Compare moving in a logical order, and they typed relevant information as it came in. 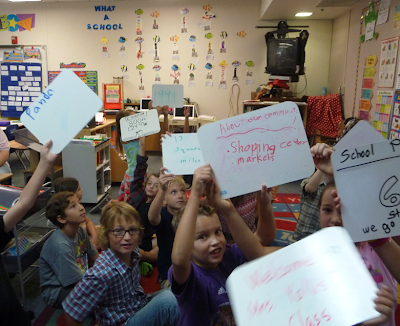 The greeters welcomed our new friends with a white board welcome and a smile! Mrs. Yollis' students enjoyed meeting the Florida Skype escorts and their class photographer. Below is a photo of the Floridian photographer taken by the California photographer! 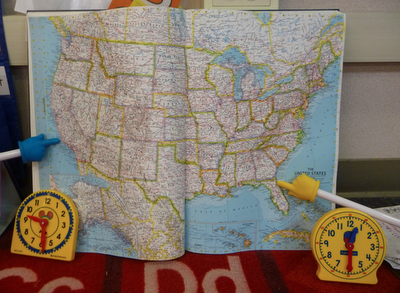 Mrs. Yollis' students were really surprised to learn about the size of Jacksonville, Florida. Our community is 13 square miles. 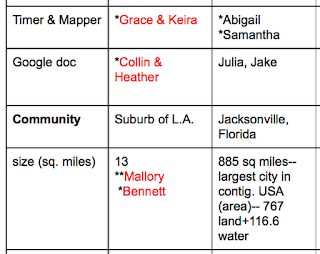 Jacksonville is a whopping 885 square miles! After the call, we compare 13 squares to 885 squares. What a difference! The square area of our suburban community is quite small in comparison. 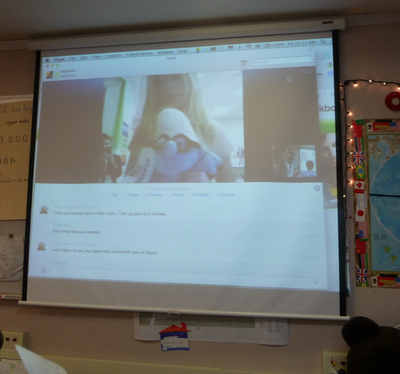 Students enjoyed meeting Skypey, a little blue class mascot from Florida! Of course Panda was punctual and ready with a useful message. Panda says, "Actions speak louder than words." So true, Panda! Beverly was asleep, but jumped up to join the conversation when she heard the word alligator. Did you know that alligators are common in Florida? Beverly wonders how often the students see alligators. Soon it was time to say goodbye. 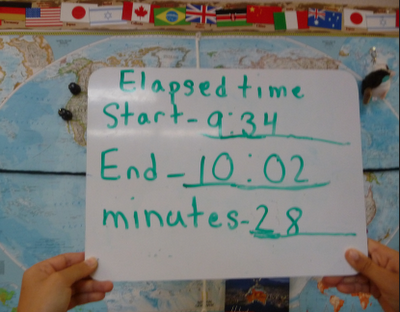 The timers stopped the clock and calculated the elapsed time of the call. A big thank you to our class photographer! The photos really help tell the story. 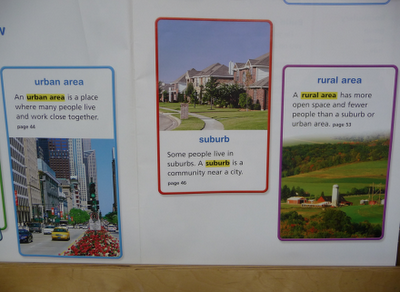 Mrs. Yollis' class has now learned about urban, suburban, and rural communities in a fun and authentic way! Do you have any questions for our Florida buddies? 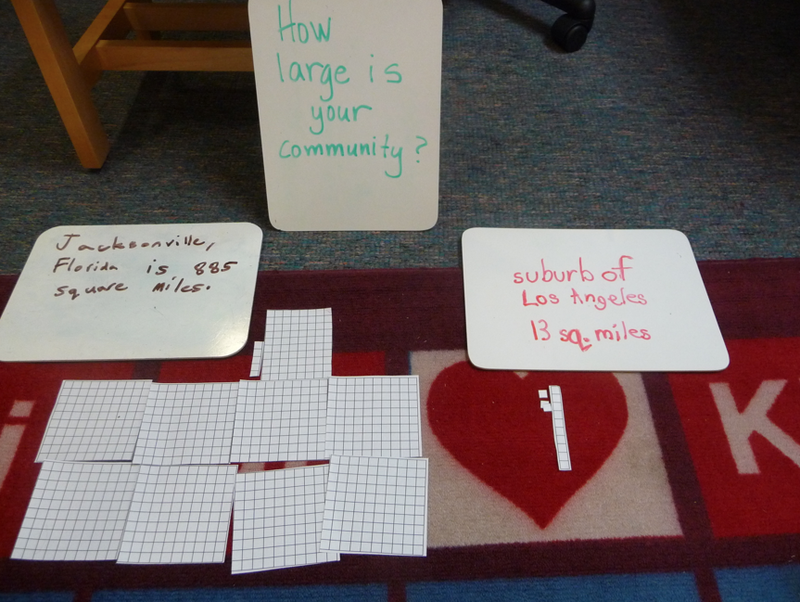 How is our suburban community different from their urban community? How are the communities alike? Skyping with Florida was awesome! It was fasinating to learn about their commumity, class, and the games they like to play.It's interesting that states could be so different. I was shocked to se that Jacksonville is so large. Have you ever been to Florida? 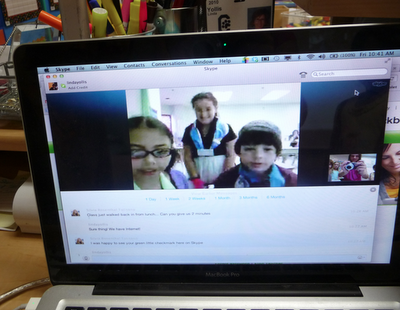 We really enjoyed Skyping with you. It was really fun to meet your class. It was our first time Skyping with our new jobs, so you may have noticed a few mistakes. We are working to improve on that. We were surprised to learn that your school has 474 more students than our class! We thought it was interesting that both of our classes have an Abigail. 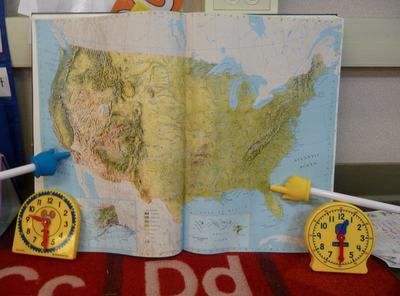 We were also fascinated that many of your students have experienced earthquakes. If you have any tips that would make us better Skypers, please feel free to share them. We would really appreciate it. You asked us about large reptiles in Florida. A friend of Mr. Carpenter recently spotted an alligator in their backyard here in Jacksonville. It had climbed out of the pond and through their fence. Thankfully their 2 year old son was inside! Believe it or not, this is quite common. We are sharing a link to the gator caught on camera. The Google Teacher Academy in NYC! Skype: Rural New Zealand & Suburban California! Super Subjects and Perfect Predicates!